The Kwara State government has urged residents to remain calm in the wake of the heavy rainfall which led to flooding in some parts of Ilorin, the state capital on Monday even as it pledged relief measures for victims. 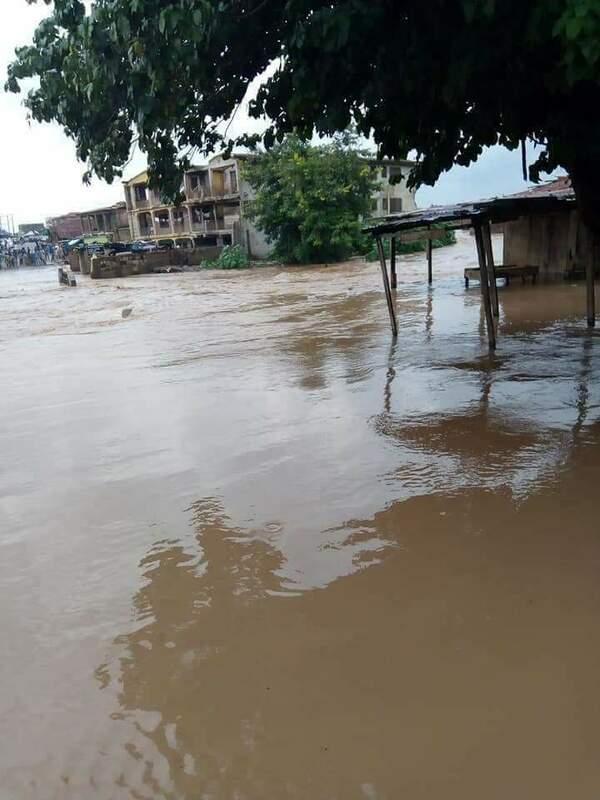 The state’s Commissioner for Environment, Mr Amos Justus, who spoke after inspecting areas affected by the flood in Ilorin on Tuesday, assured residents of the governments’ commitment to finding a permanent solution to the incessant flooding. He added that in the meantime, the government will provide palliatives to curb the flooding and its effect and assured residents of the readiness of the State’s response team to deal any other emergencies. Justus also warned residents to desist from dumping refuse indiscriminately especially in drainage channels, adding that such act do not only portend health hazards but also threats to lives and property. The commissioner also disclosed that the state government will collaborate with the Federal Government in securing the ecological fund to ensure that permanent solution is found to the perennial flooding in the state. Areas inspected include Taiwo, Geri-Alimi, Hajji Camp, Surulere and Itaamo areas of the metropolis.